Notes on the Oral History of George K. Whitney, Jr.
On August 13 and 14, 2002, Diane Nicholson and I met with Mr. George K. Whitney, Jr. at his home in Friday Harbor, Washington. 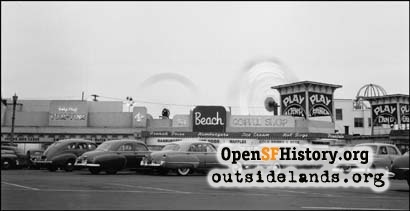 Over the course of two days he and I carried out a 3-hour oral history session during which Mr. Whitney answered a number of questions about his family's involvement in the ownership and operations of Playland-At-The Beach, the Cliff House, Sutro Baths, and "Cliff House Properties." Mr. Whitney was born in 1922 in San Francisco and raised in the City. During his childhood his father and uncle, George and Leo Whitney respectively, became the managers of a growing complex of seaside attractions that had originally been known at Chutes At The Beach. 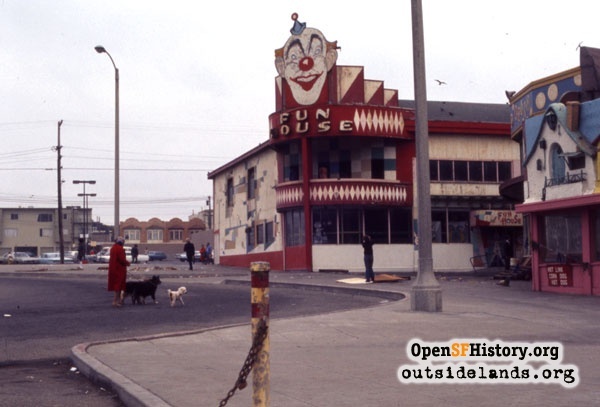 These attractions had always operated as concessionaires until the Whitneys arrived, but during the late 1920s and '30 the brothers purchased most attractions outright and renamed the area Playland At the Beach (sometimes known as Whitney's At the Beach). 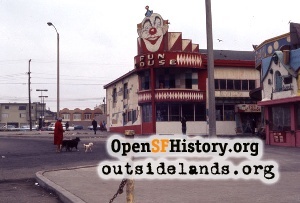 In addition to Playland, the Whitney Brothers operated the nearby "chicken shack" restaurant known as Topsy's Roost, which was located just north of Playland at the foot of Sutro Heights. Although Playland's attractions originally sat upon leased land, the Whitneys eventually purchased the land beneath Playland as well as several adjacent lots for future expansion. In 1937, George Whitney, Sr. purchased the then-vacant Cliff House from the Sutro estate and reopened it as an upscale roadhouse that same year. World War II was a boom-time for the Whitney Brothers, with thousands of on-leave servicemen and their dates boosting concession and ride revenues. George Jr. remembers one of his father's quotes about that period: "Playland is a nickel and dime business, and we'll do well as long as people have nickels and dimes in their pockets." Mr. Whitney explained that his father was the organizer and financial leader of the Whitney Brothers while his uncle Leo was the creative designer part of the team. He also explained that his father was a "collector of collections" who would buy any manner of esoteric object if he thought he could make money by promoting it as an attraction. Examples included George Sr.'s collections of spinning wheels, antique bicycles, carriages, stuffed animals, music boxes, orchestrions, models of the California missions, the Tom Thumb collection, and coin-operated mechanical attractions. During World War II George Jr. served in the Army Air Forces as an engineer and armament specialist. Following the end of the war he attended college and then went to work for his father and uncle, beginning his career managing the arcades and rides along the Playland midway. 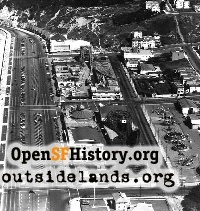 In 1952 Mr. Whitney Sr. purchased the Sutro Baths from the Sutro Estate and consolidated the Whitney holdings, which by then extended from Fulton Street to present-day Louie's restaurant and a small snack stand in the streetcar depot on Point Lobos Avenue. Mr. Whitney was careful to point out that the Cliff House-Sutro Baths complex was not a "Whitney Brothers" property, but instead was owned by his father and mother (and later their children) under the title "Cliff House Properties." The Whitney family, it seems, were masters of restructuring their real estate holdings and Mr. Whitney provided us with several documents charting these convoluted legal reorganizations. Mr. Whitney returned to San Francisco in 1958 when his father passed away and he assumed control of the Whitney properties. In the early 1960s, however, he and his mother had a falling out and she sold her controlling interest to a new partner named Bob Frazier (interestingly, Mr. Whitney couldn't remember Bob's last name during the interview) who was able to take control of Playland At The Beach. 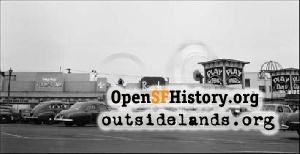 Mr. Whitney then focused his operations on Sutro's and the Cliff House. Another real estate restructuring took place around this time that resulted in Mr. Whitney relinquishing control of the "back property" of Sutro's (which contained the abandoned pools) to Bob, who hoped to redevelop the land. For a brief period he retained control of the front half of the structure, which contained the skating rink and museum, until he also transferred this property to the developer. In turn, he and his sister took total control of the Cliff House, north annex and adjacent vacant property. George noted they were not the owners of the Sutro Baths structure when it burned in 1966 while being demolished, in what he himself readily admits was a very fortuitous fire for the wrecking company. 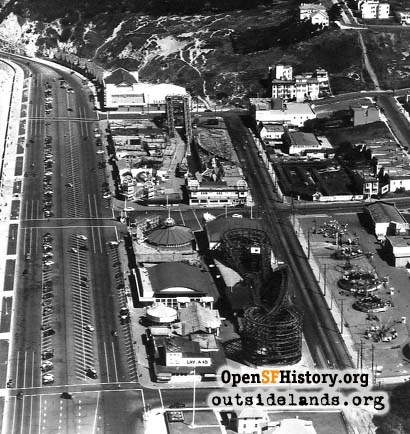 Following the transfer of the Baths property Mr. Whitney bought out his sister and assumed sole control over the Cliff House structure and the adjacent attractions such as the restaurants, gift shops, Camera Obscura, Musee Mecanique, etc. We discussed the negotiation that went on between himself and the NPS following the creation of Golden Gate NRA in 1972. Interestingly, Mr. Whitney states he was never approached by anyone on Congressman Burton's staff during the planning for GOGA. His first formal contacts occurred when representatives from Bill Whalen's staff contacted him following 1972 to begin purchase negotiations. Mr. Whitney claims that he negotiated for five years with the NPS before agreeing to a sale price on the eve of condemnation proceedings. He remembers the sale price as $6,500,000. After selling his Cliff House properties Mr. Whitney states he left the Bay Area "and never looked back." He spent the last twenty years traveling extensively and sailing, and eventually retired to Friday Harbor, Washington, not far from his uncle and father's hometown of Mt. Vernon, Washington. Read the interview timeline of the interview.